Technology giant Arris and Danish cable operator Stofa are collaborating to deploy what they describe as one of the largest Remote-PHY (R-PHY) networks in the world in record time. The network upgrade leans on Arris R-PHY nodes to deliver Gigabit service across Stofa’s footprint in Aarhus, Denmark. According to Arris, its R-PHY technology enables Stofa to virtualise and decentralise headend functions and elements of the Open Systems Interconnection physical layer, enabling the more efficient use of network media and the delivery of of 1Gbps internet speeds and beyond. After trialling the technology, Stofa completed its R-PHY deployment in Aarhus in seven months. Arris created a custom architecture where Stofa video services stream over the network, avoiding impact to customers’ headline broadband speeds. The R-PHY deployment in Aarhus is the result of an ongoing strategic collaboration between Stofa and Arris to enable Gigabit broadband, Ultra HD TV, streaming, and digital services across all of Stofa’s sites in Denmark. The companies pioneered the first R-PHY deployment in EMEA, accelerating the rollout of R-PHY nodes; and in the near future, Stofa will transition to cloud-based network alignment using the Arris virtualized management solution. The pair will move to enable Gigabit broadband, Ultra HD TV, streaming, and digital services across all of Stofa’s sites in Denmark. Cornel Ciocirlan, CTO EMEA at Arris, said that the Stofa distributed architecture deployment includes the delivery of 204MHz upstream capacity which can support up to 500Mbps upstream speeds. “The deployment is complex. It was not just about moving broadband to new digital nodes but also video. That turned out to be a bit more challenging than expected,” said Ciocirlan. The speed of deployment also required complex logistical organisation to get teams out into the field. He said that of Arris’ distributed access architecture customers, Stofa was unique in committing to such a large-scale and ambitious network wide rollout. The upgrade of the Stofa network to 1.2GHz in the downstream and 204MHz upstream gives the company “the ability to go to multigigabit right up to 10Gbps over time”, said Ciocirlan, adding that it is likely the company will invest in further upgrades to its network before it offers such a service. Ciocirlan said that having 204MHz upstream capacity is a key goal for operators, as cable traditionally has been “a bit limited” in its ability to deliver very high upstream speeds. “That is due to the fact that cable networks have been built with a much bigger downstream pipe but less upstream spectrum. Downstream services are also what subscriber want, which has eased pressure on the upstream,” he said. Demand for upstream is growing at a slower pace of 25-30% compared with 40% downstream, he added. Lack of demand for upstream services – due in large part to the supplanting of peer-to-peer traffic by streaming services – eases the pressure on operators, but they still see investing in the upstream as something for the future “as new services develop and competitors start offering services,” he said. Ciocirlan said that Arris is currently involved in around 20 active distributed access architecture projects around the world. He said that moving to a distributed access architecture sets the stage for further upgrades down the line. CableLabs launched the industry’s 10G initiative a few weeks ago, which leans on existing technologies including Full Duplex DOCSIS for symmetrical services, and extended spectrum DOCSIS, which raises the spectrum ceiling occupied by upstream traffic to 492MHz or 684MHz while keeping upstream and downstream in separate blocks of spectrum. Downstream spectrum would be pushed above this level and the downstream would operate up to 1.8GHz in theory. Ciocirlan said that ultimately capacity could be tripled using a combination of these techniques, giving a 20-30Gbps pipe into the home. Cable operators now face a range of choices to upgrade their networks to make them ready for next-generation services. However, one shortcoming of Full Duplex DOCSIS is that operators need a ‘N+0’ architecture, meaning no amplifiers between the node and the home. 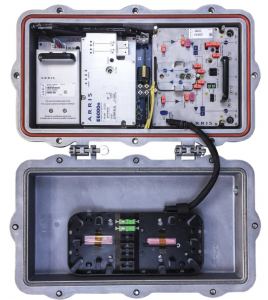 Ciocirlan said that this type of deployment often makes more sense than laying new fibre within the building, although Arris also supports fibre-to-the-home and the RFOG technology that allows operators to support both FTTH and DOCSIS footprints using a single DOCSIS headend. “Typically, [laying fibre on] the last 100 metres is an expensive proposition. Also, operators will not get all of their subscribers to migrate. Sometimes they don’t want to see people drilling holes in their homes,” he said. All of the distributed access architecture deployments that Arris is currently working on are based on R-PHY, rather than R-MACPHY, where both the physical layer and media access controller are located at the node, although the company supports both architectures. Ciocirlan said that the “biggest reason” for the predominance of R-PHY is that “it is fully standardised” with an interoperability programme. Another important reason for the popularity or R-PHY is that digitising the node requires more processing power. 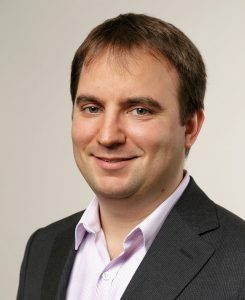 Operators that deploy R-MACPHY, which will require more processing power in the node, may have to compromise on the full spectrum capability of the R-PHY node and buy hardware that “doesn’t go up to 1GHz of modulation capability”, meaning that the lifetime of that node could shorter than a Remote PHY node. “When operators are building a distributed access architecture network they want full spectrum capability in a reasonable power envelope. That is one of the things that has driven Remote PHY,” said Ciocirlan. Deploying R-PHY with a cloud-based MAC enables the operator to virtualise the core and invest in data centre equipment and run its network more efficiently. 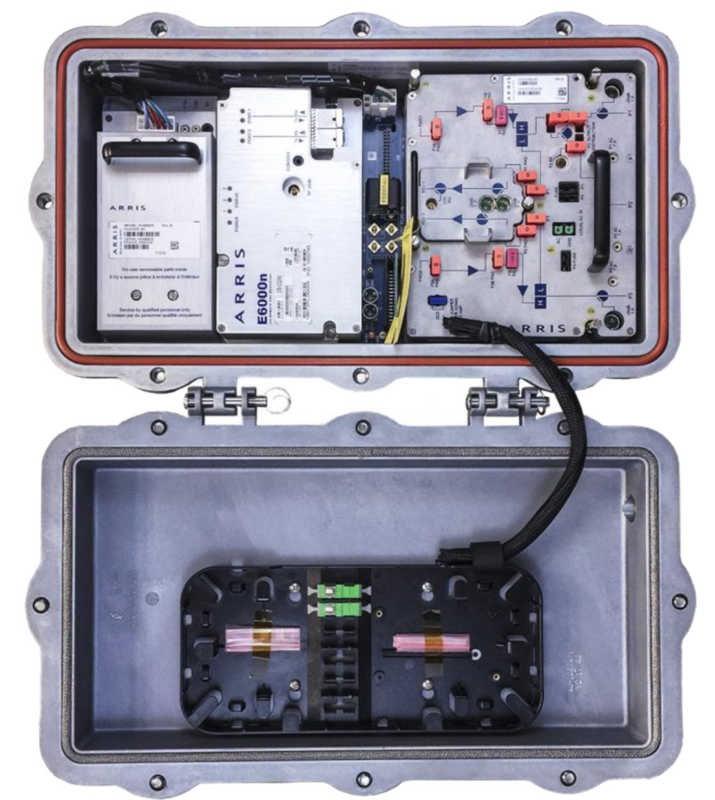 From the opposite perspective, deploying Remote MACPHY simplifies the network and enables operators to eliminate latency, which could be important for emerging applications such as connected cars. However, Ciocirlan believes that operators will become familiar with the requirements for distributed access architecture networks as they ramp up to support applications such as mobile backhaul for emerging 5G deployments. “Mobile backhaul…means that a fixed network is a very important asset. All the fixed networks are going be used for that,” he said. With edge computing operators can overcome some of the latency issues associated with R-PHY, while a so-called Flexible MAC architecture enables them to to put MAC processing in the cloud or data centre, or in the node, as required, although standards for this still need to be clarified. “The cable industry is actively working to address those issues,” said Ciocirlan.